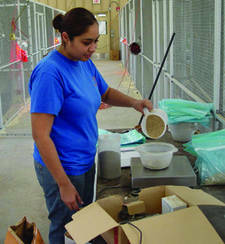 With the decline of numerous bird species in south Texas during the past decade and the obvious need to understand more about their ecology and conservation, the Institute opened the doors of the 7,500 square foot Duane M. Leach Research Aviary in January 2004. 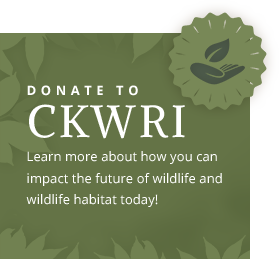 As part of the Endowment and Capital Campaign, a private gift from the Caesar Kleberg Foundation for Wildlife Conservation was secured to begin construction of the research aviary in February 2003 at the Tio and Janell Kleberg Wildlife Research Park. This facility provides Institute researchers and graduate students the opportunity to conduct diverse captive studies simultaneously on a broad array of wild bird species. Additionally, the aviary is occasionally opened up to school children and public visitors to learn more about bird conservation issues by seeing “first hand” the research in progress. In the past, studies with wild bird species have largely been limited to free-ranging populations or conducted at the poorly equipped North Pens Captive Research Facility because a proper indoor facility was not available. Today, researchers and graduate students have the opportunity to conduct studies under highly controlled conditions with quail, turkey, dove, birds of prey, and songbirds in a state-of-the-art indoor facility. These studies primarily focus on bird behavior, nutrition, the effects of environmental contaminants on bird communities, and a broad spectrum of avian diseases. Additionally, the aviary provides an excellent opportunity for captive propagation studies. The research aviary includes sixty-four individual pens, four by six foot in size, with removable paneling to accommodate necessary pen size adjustments and two, five by twenty-four foot holding pens. The aviary is open on three sides for proper ventilation. An insulated roof regulates temperatures during hot summers and cold winters. The facility is equipped with numerous water faucets and drains to accommodate sanitation requirements. Located near the front entrance are two storage rooms for feed and general supplies. An incubator and brood cages are available for captive propagation studies. Donations were given by numerous private donors for a flight cage facility to be attached to the aviary. Construction of the flight cages began during late summer of 2006 and was completed during the spring of 2007. Temporary dividers allow the galvanized mesh facility to be divided into four, 2,000 square foot compartments to be used for research purposes or as holding areas. To date, the aviary has facilitated research focusing on the bioenergetics and foraging of white-winged dove and the effects of overwinter nutrition on Rio Grande wild turkey productivity. 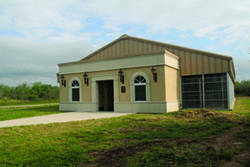 Future studies will include the use of an 8,000 square foot flight cage for songbirds and birds of prey.